Square in the middle of the chip counts sits Daniel Sindelar, a professional player hailing from Nebraska. His poker CV boasts a score of WSOP cashes over the years, but he's never yet made a final table – until now, that is. Sindelar has plenty of experience both online, where he plays as 'dsindy' or 'sindy2', and live, where he has an ample list of tournament results (with a career best score of $105,312 after winning the $1,000 Fall Poker Classic in 2007). 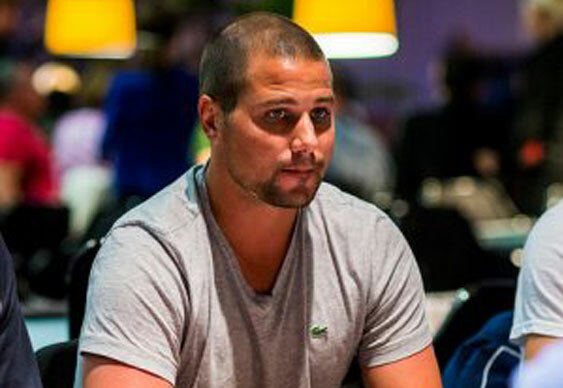 Coming up to the final table, Sindelar told the press how he rejoiced at having positional advantage over Martin Jacobson, who he considered to be a formidable opponent. He might be less pleased to see that the tables have now turned when it comes to the final table seat draw, since Jacobson is set to be on his left. Currently, Sindelar is neither a favourite nor an underdog to win: he's certainly no amateur, but will have to pick up some lucky spots in order to grow his middle-of-the-pack stack into something more fearsome. One thing in his favour is that he has a sizeable, and raucous, rail – and look what that did for 'Riess the Beast' last year.